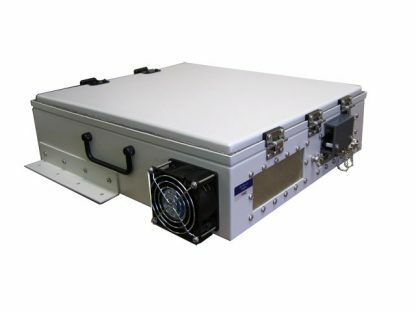 Low profile, loads of I/O Capability! 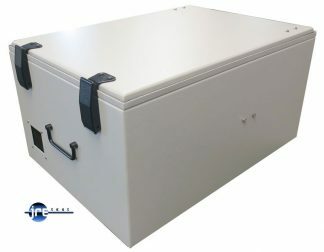 Wide selection of I/O options with our universal I/O plates - space for 2 plates! 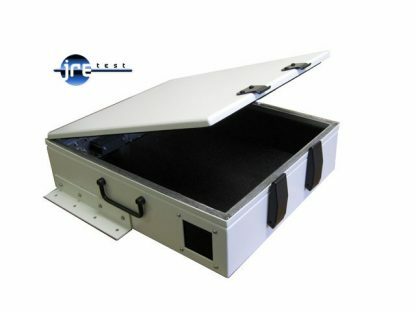 Low profile devices with large amounts of I/O connectivity have found a home in the JRE 1618. Like its other brothers in the JRE test line, it features rugged welded aluminum construction with superb RF shielding effectiveness. Long life door gasket material along with double edge engagement not only provides solid RF shielding, but smooth trouble-free operation over its lifespan. 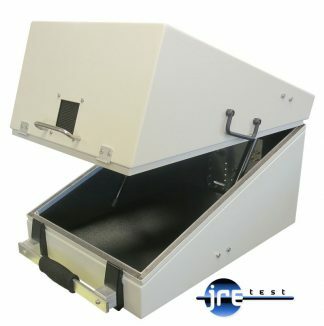 Tough ‘honeycomb’ vent maintains shielding effectiveness throughout the full frequency range. Optional fan is available for additional airflow. 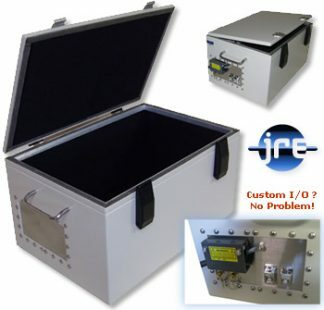 The two universal I/O plates allow almost any device to be interfaced inside the enclosure, and internal electromagnetic absorbing material reduces RF reflections and hot-spots. 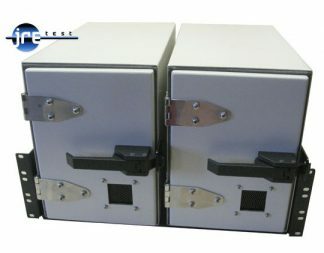 Two universal I/O plates (2.75 x 6" - 70 x 150mm) with incredible connector options. Easily changed in the field for multiple uses. JRE Test "A" size I/O plates.